In remembrance of the 10th anniversary of the 9/11 attacks on the World Trade Center and the Pentagon, there were several tributes, memorials, exhibits and ceremonies held in and around central New York as photographed by Upstate New York Stock Photographer Scott Thomas. Click on the Contact links at the top and bottom of each page to inquire about using these photographs in your print and/or digital publications (websites, ebooks and blogs). 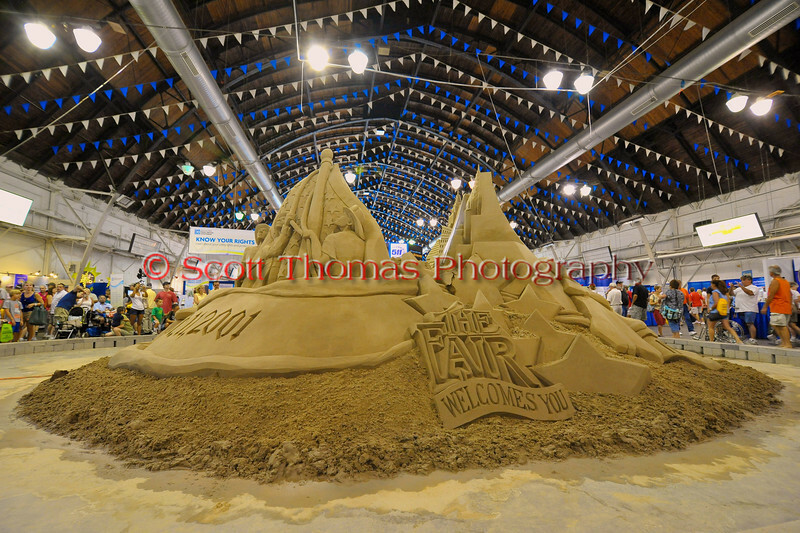 The completed 9/11 heroes tribute sand sculpture in the Center of Progress bulding at The Great New York State Fair in Syracuse, New York.